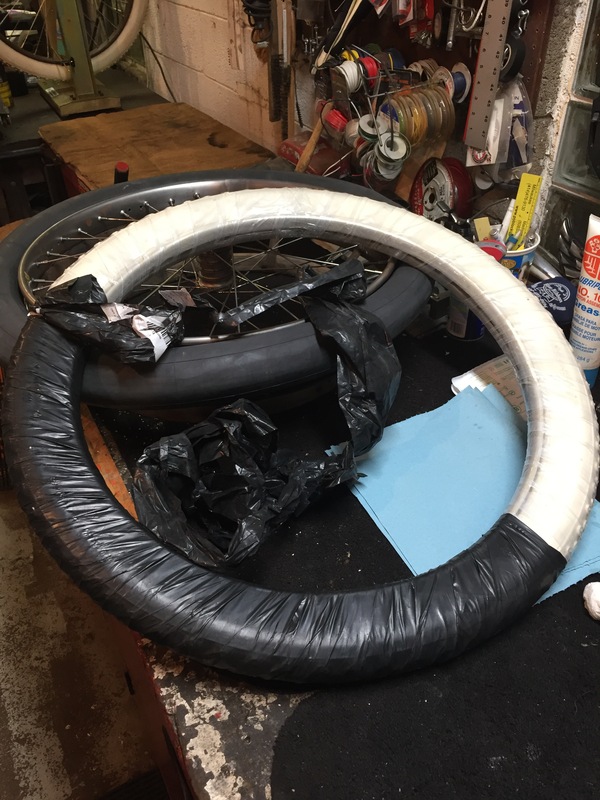 Rear Wheel Rolling Along – Tribbey motorcycle tales: 1911 Excelsior Restoration, Cannonball, and Cross Country Chase. Every little event that keeps this project moving along is monumental, in my mind. 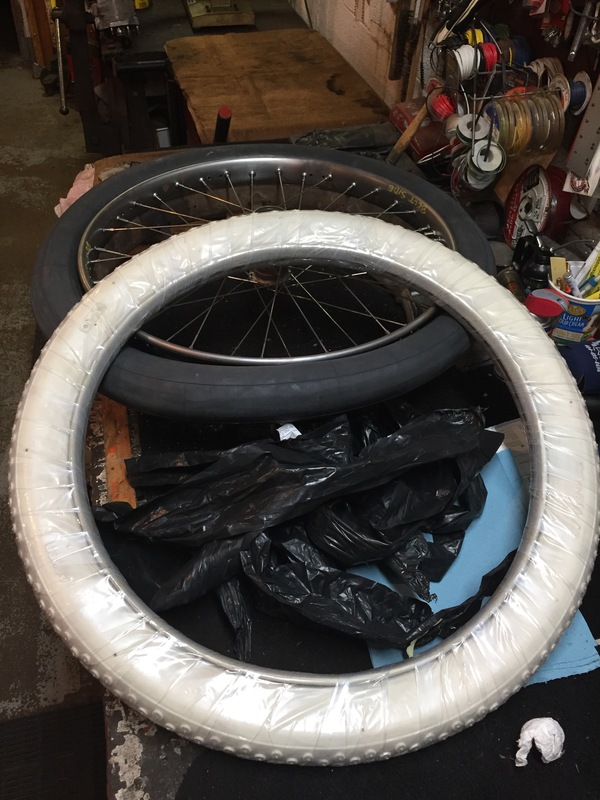 I was like a little kid when the rear tire and inner tubes showed up! 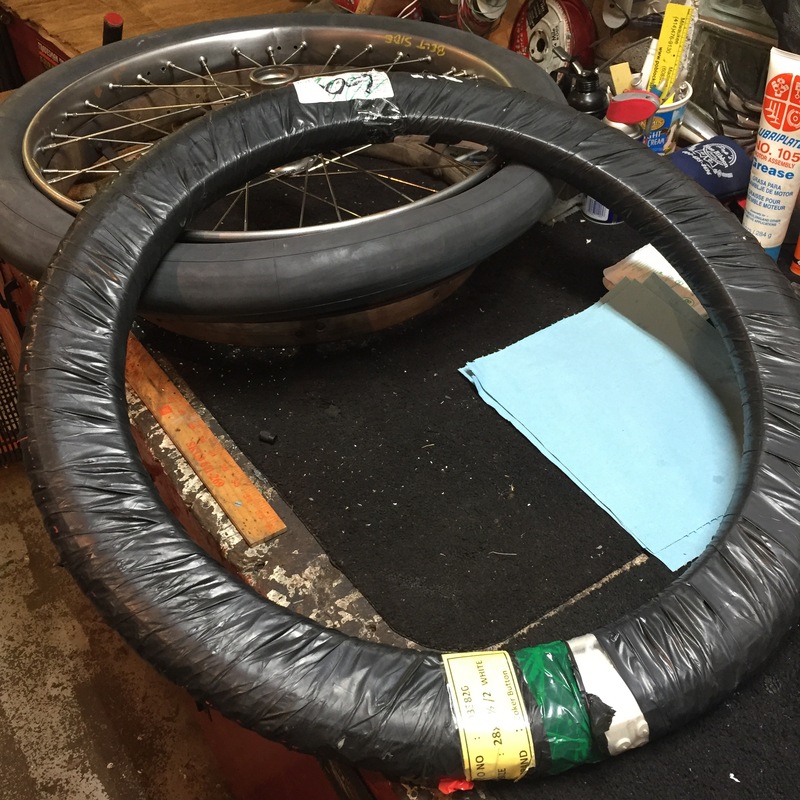 I carefully unraveled the wrap on the tire. 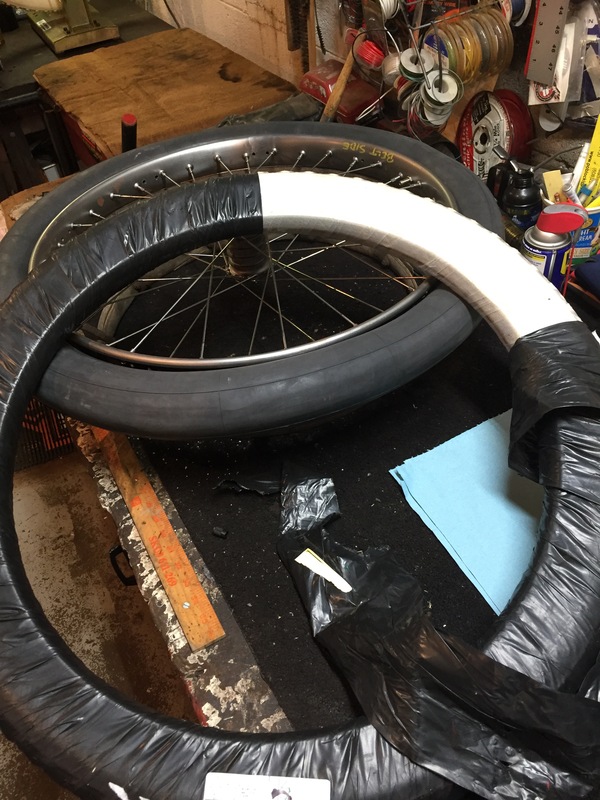 I inflated the inner tube over the rim (just for fun). And then just sat back and gazed. So close yet so far. 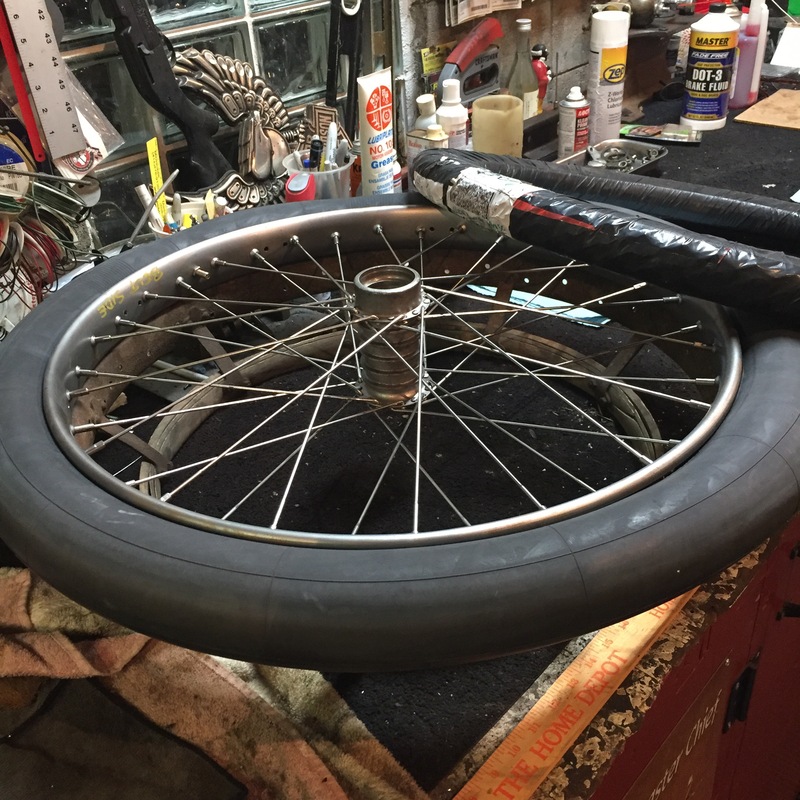 Removing the riveted on belt brackets from the old rim will be a huge task, as will attaching to the new rim. But for now, I am happy all rear wheel parts are here.